The DRIA 2018 Symposium will focus on promoting and fostering substantive discussions about preventive and anticipatory resilient design in front of the effects of rapid urbanization and climate change. The emphasis of the symposium this year will be on planning, urban design and architecture related transformative responses to the consequences of climate change, global warming and water-related shocks and hazards like floods, subsidence or droughts, as well as on the mitigation efforts done in the reduction of CO2 emissions or the Urban Heat Island effect. All of them, particularly relevant topics to the Singapore context. 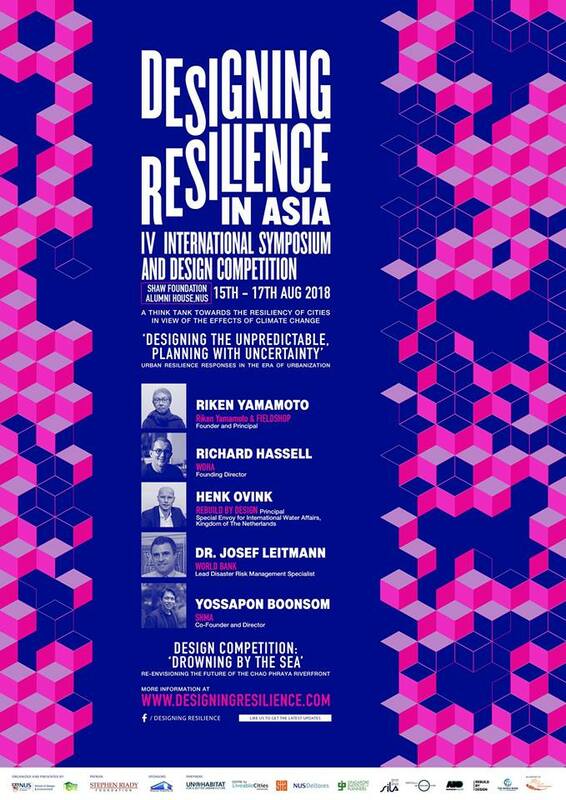 The 2018 DRIA Design Competition focuses on the resilience of high dense (mega) cities affected by water flooding, sea-level rise and subsidence, and aims to come up with innovative and creative ideas and propositions pertaining to the resiliency of Asian cities. The symposium is a Walk-in event. There are no registration fees.